My bags are packed - one with a few clothes and a second with all the other things I need for OnStage Local in Telford. The excitement has been mounting over the last few weeks and today I'm travelling to Telford for the fun to begin. 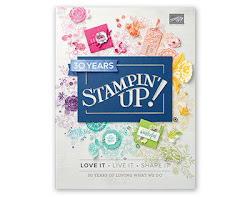 Every six months Stampin' Up! hold events, called OnStage, that demonstrators can attend. This time the South Pacific market is hosting the main event, but demonstrators from other markets around the world can also participate by attending an OnStage Local event nearer to home. 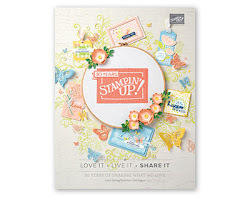 Events are fantastic fun - seeing old friends and meeting new ones, learning about new products, swapping and more! Swapping is great because you get to share what you have created with lots of different people and in return you have something to keep that they have created. Trading ideas and making memories. I have made 50 swaps, and all I'm telling you at the moment is that they are cards and they were made from this pile of ingredients! Thanks Pamela. I think you will approve!